Move over, pizzerias, diners, and dive bars: Neon signs have found a new place to shine—in our houses. Since the early 1900s, these gas-filled, electrically charged tubes have been a mainstay in advertising and commercial architecture. But in the past decade, neon’s glow has found its way home, adding a look-at-me shock of color that can trace witty phrases, icons, and geometric patterns. 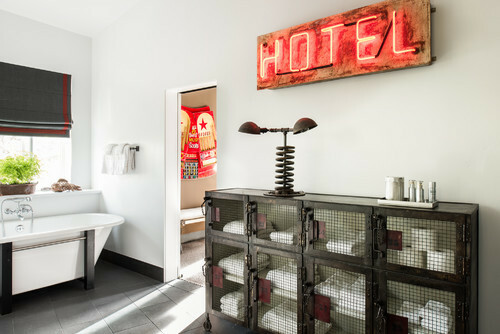 Whether funky, posh, or irreverent, neon can fit into an array of design schemes—from industrial chic to contemporary vintage. “Neon signs tell a story better than any other medium, and demonstrates our desire for the uncommon,” says Max Mondo, owner of New York City–based Mondo Neon, which specializes in custom-crafted signs and buzzy art pieces. Ready to light up your digs with a neon revival? Here’s what you need to know about bringing this radiant trend home. If you have any doubt about neon’s place in the home decor world, just take a spin through Pinterest and Instagram. Neon is a design element that exists simply to be noticed, and it’s having a moment on social media, says Kenny Colvin, creative director at Giant Squid Creative, a New York City design and branding agency. “Residential neon’s popularity can be summed up in one word: Instagram,” Colvin says. Even if you’re not doing it for the ‘gram, adding a flourish of neon to your living space can help shape a hip but inviting atmosphere. Long used almost exclusively outdoors, neon indoors can feel casual and welcoming in the best possible way, says Jenna Sheingold, who runs a design firm in Portland, OR. 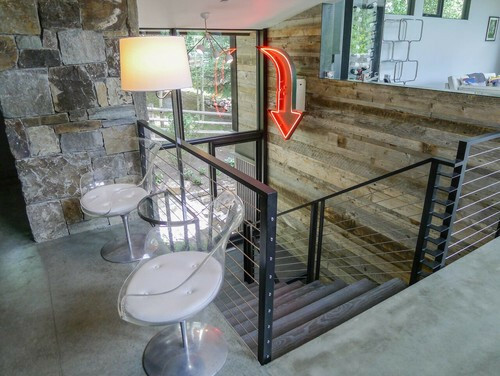 Technically, neon can find its place in any corner of the house. Practically speaking, every pro seems to have a favorite place to use it. New York City designer Jo Laurie likes the drama that a pop of neon adds to kitchens, and the functionality that comes with the extra burst of light in its “modern, edgy design,” she says. 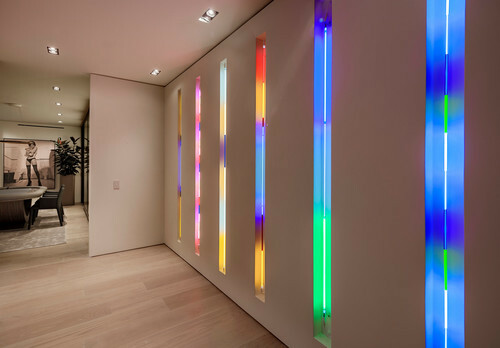 Neon is also a natural fit when incorporated into an art or gallery wall, says Colvin, who also appreciates how neon light in foyers and entryways creates a bold first impression. 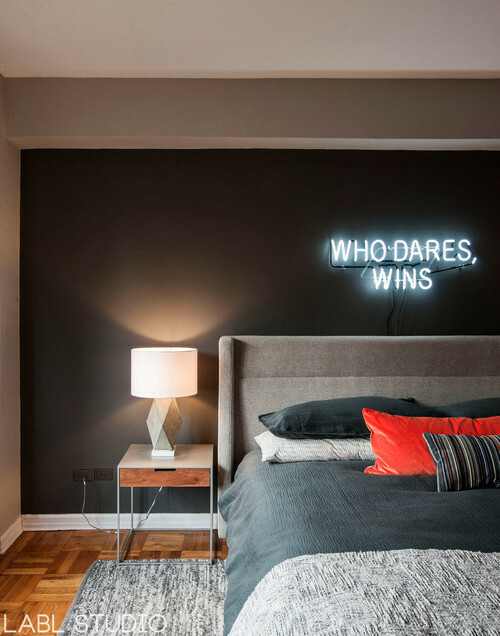 And while he’s not a big fan of neon in the bedroom, there’s plenty of evidence to suggest it can work well there—especially in a room where light levels change frequently. There’s nothing wrong with the neon Milwaukee’s Best sign hanging askew in your uncle’s basement. But if you want to help neon reach its full hipster-chic potential as a decor statement, you’ll need some finesse. Allow the neon to take center stage, and avoid any design elements that might compete for its attention. Understated surroundings can give neon plenty of room to shine, agrees Sara Cannon, a designer at Florida-based House Heroes, a real estate investment company. Pair it with “neutrals and clean, modern lines, and neon will read as anything but tacky,” she says. Not feeling so pumped about a winking phrase splashed across the wall? Not to worry—there’s a neon for you, too. Think of neon as an accent piece to complement the room’s existing colors and design elements, Mondo recommends. Similarly, Laurie recommends integrating neon into your space through soffit lighting, light washing down walls, or the fronts of counter bars. Of course, you can always skip the show-stopping, custom neon installation in favor of a more diminutive piece. Worried about what this trend will do to your electric bills? There’s good news: Neon actually is an efficient form of lighting regardless of whether it’s the real deal or the LED variety. Considerably more cost-effective than traditional filament bulbs, LED bulbs don’t waste energy on heat. A typical neon sign eats up only 0.9 amps—roughly 95 watts—and is unlikely to even trigger a change in your electric bill. Even better, neon tubes usually last five to 10 years and, in the right environment, can last even longer, Mondo says. Bright, eye-catching, and efficient? What could be more deserving of a double tap on Instagram? The post Neon Signs: This Buzzy Lighting Trend Is Made for the Age of Instagram appeared first on Real Estate News & Insights | realtor.com®.